Two-Step Login is Now Available! 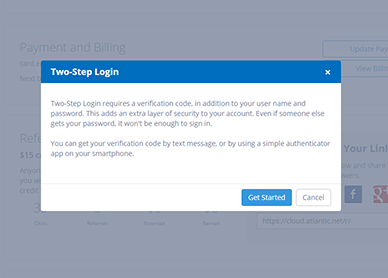 We are excited to announce the release of a new feature called Two-Step Login (aka: Two-Factor Authentication, 2TFA, TFA). 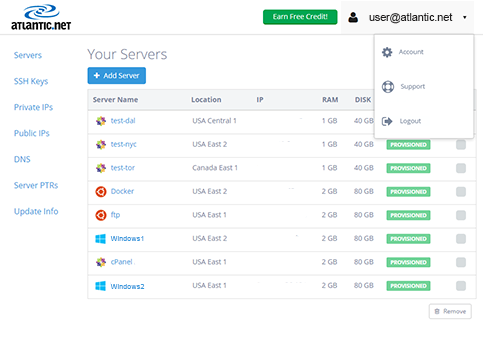 This new feature provides you an extra layer of security when accessing your Cloud account via the Atlantic.Net Cloud Portal. When you enable Two-Step Login, you’ll be required to provide a username and password like you normally do plus a randomly generated verification code. You’ll be able to get the verification code by text message or by using a simple authenticator app for a smartphone. Most services only have one layer of security to protect user accounts: a password. With Two-Step Login, even if a bad guy hacks your password, he’ll still need your phone to get into your account. The verification codes you use to log in to your account are uniquely generated when you need them. If you choose to enable Two-Step Login, verification codes will be sent to your phone via text or generated by an authenticator mobile app, like Google Authenticator. Each code can only be used during a short period of time when you are in the process of logging in to your account. 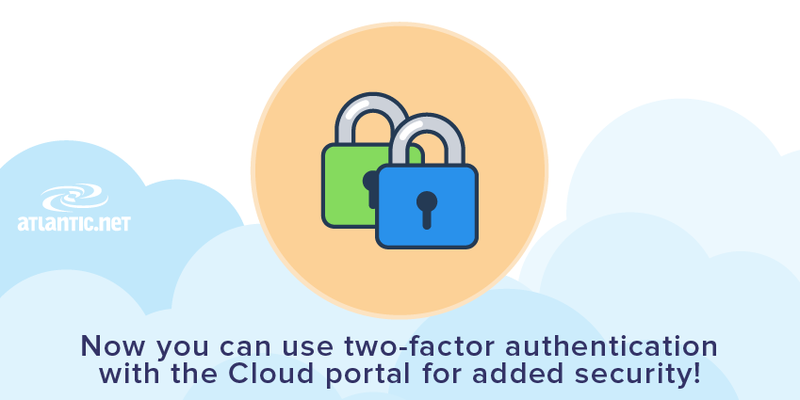 You don’t have to sacrifice convenience for the enhanced security that Two-Step Login provides. During sign-in you can choose “Don’t ask again on this computer.” From that point on you will only be asked for your username and password when logging in from that same device. You’ll still be covered, because when you or anyone else tries to sign in to your account from another computer, Two-Step Login will be required. How do I enable Two-Step Login? 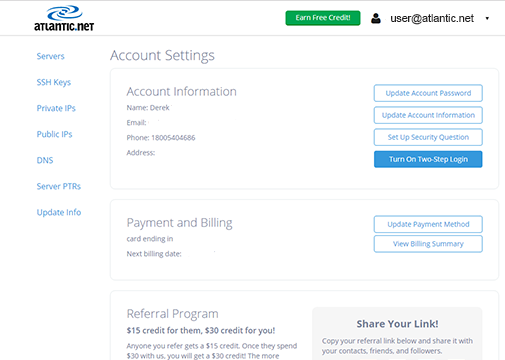 First, click on your email address in the top right of the control panel, and select Account. Then, click the Turn On Two-Step Login button. If this is your first time doing this process, the next page will ask you to Set Up a Security Question. Finally, click the Get Started button! This is just one of the many features we will be releasing in the near future. Stay tuned!